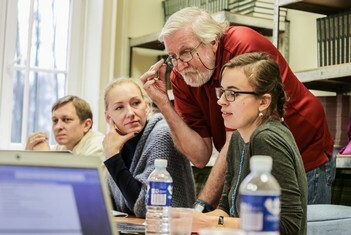 This is a University level course on how to develop and deliver interpretive training courses and workshops for parks, museum, historic sites, zoos, botanical gardens and related interpretive staff managers/heads of education, charged with developing interpretive training for their docents, volunteers, seasonal interpretive staff, or full time interpretive staff. 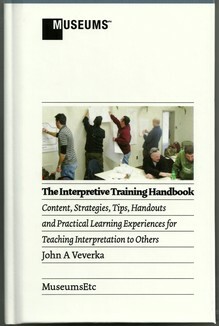 Each participant will receive an e-book copy of John Veverkas text book: The Interpretive Trainers Handbook, as well as other support materials and training aide resources. had no formal university level training or courses in heritage interpretation themselves. * Teaching the developing and writing interpretive themes. 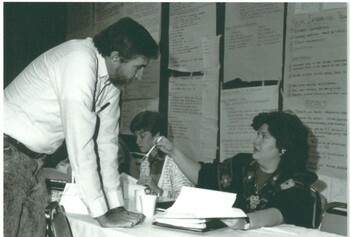 * Teaching the development and writing interpretive of objectives (learn, feel, do). * Teaching skills in understanding how visitors learn and remember in heritage settings. * Teaching development of a solid understanding of the interpretive planning process for live/conducted interpretive tours, walks and programs. 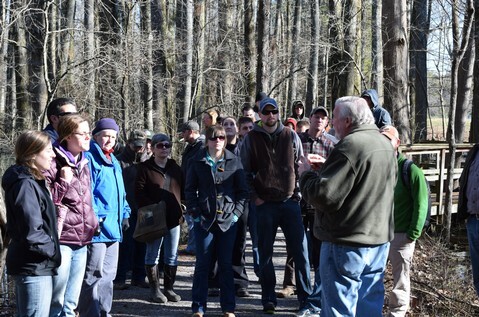 * Help participants acquire practical applications of interpretive program and tour presentation skills. planning interpretive programs and tours. programs and services they present. US Forest Service interpretive Planning Course (left) training course in Korea (right). Unit One - Overview of planning for interpretive training courses. Unit Two - Developing your training objectives (what knowledge or skills do you want the participants to be able to demonstrate/use upon completion of the course and use in their planning and delivery of interpretive programs, tours or other services?). Unit Three - Who is your audience and assessment of current interpretive services knowledge and presentation skill levels? 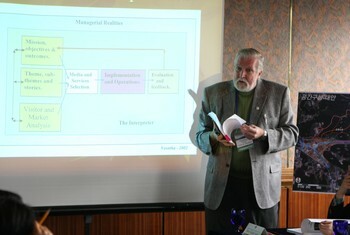 Unit Four - Training workshop logistics planning (number of participants, where, when, how, and workshop management ). Unit Five - Developing your training manual/handouts. Unit Six - Developing your training aides and activities. What to teach and related support materials. Unit Seven - Developing a pre-post test training course evaluation. Unit Eight - Developing your lesson plans and schedule of instruction. Unit Nine - Planning Practicum activities (learn/remember by doing). Here are examples of practicums - how visitors learn and remember - Interpretive Concept and Interpretive Principles practicum activities. Unit Ten - Starting the training course - activities (hands on and minds on). Unit Eleven - For training more than one day - summary of days activities, objectives for the next day's activities. Unit Twelve - Interpretive Coacing Techniques - what works best for you? At the completion of the course you will receive a very nice Certificate of Completion noting the award of 2 CEU credits on the certificate. 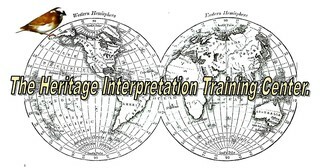 As interpretive training workshops and courses are unique to different agencies and organizations, this course is, like all our courses, very flexible in helping each individual participant develop a interpretive training course that reflects their training objectives. When will the course start? You can start this course at any time and work at your own pace. It is estimated that it will take about 20 hours to complete this course. The cost of the 20 hours of training is $200.00 USD, which can be paid for by credit card or PayPal below via credit card or Pay Pal. You can also pay by check. Cost for the 20 hours training with live interaction with the instructor is $200.00 USD. If you're interested in this course and would like to enroll in it - send an e-mail to John at: jvainterp@aol.com and you'll be sent a simple registration form to fill out and return to John. Then you can return to this web site page to pay for the course using the BUY NOW button below.